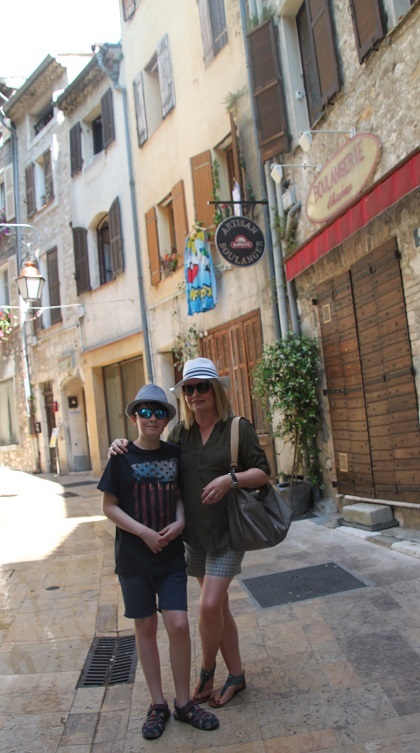 We were heading to St Paul de Vence later in the day but decided first to make a stop en route in the smaller and less well known little town of Vence – a good call. Just an easy thirty minute drive from Cannes, it was just gorgeous. We all loved this old town, nestled in the pine and cypress covered hills. A free car park put a smile on Husband’s face – a rarity indeed in this part of the world. We walked the short distance to the old town area and spent an hour or so just wandering. This place has long been a magnet for writers and artists – very easy to see why that should be. Matisse, Chagall and many other artists were attracted by the town, countryside and beautiful views. 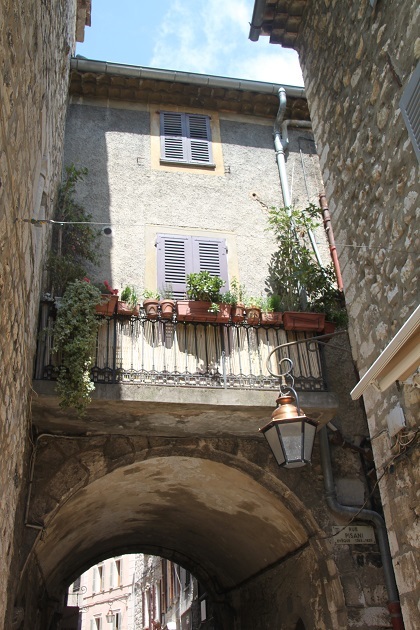 DH Lawrence died here in 1930 and was buried in Vence for a few years before being exhumed and his ashes sent to Mexico. The town still attracts well heeled visitors who want to escape the crowds at the coast. Apparently the open-air market is one of the best in the region. Held on the main square on a Tuesday, we visited on a different day so didn’t get to check that out. 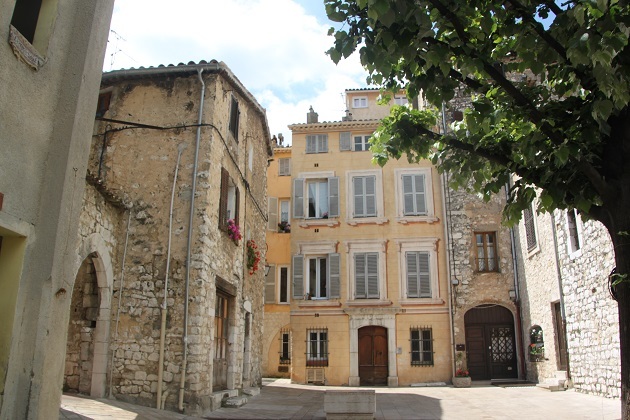 I loved the old town – so different to most of the other medieval Provencal places we explored. First up it is not on a rocky outcrop with views to the sea. 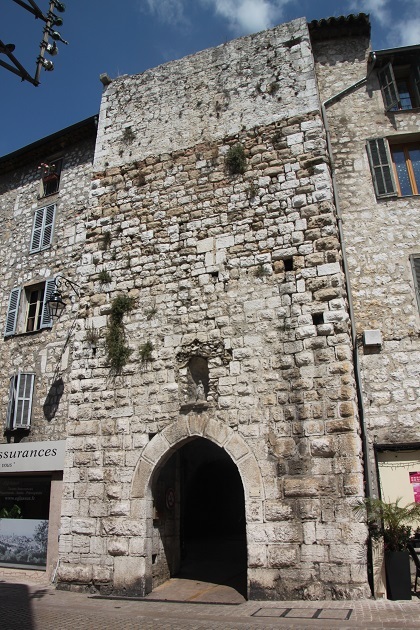 The main difference though is that the historic centre is circular and retains all its fortifications intact. These are now a ring of ancient houses rather than stone walls with five gateways allowing entrance and access into the centre. These 13th century fortifications are so well preserved because in the 15th century it was agreed houses could be built against the walls. 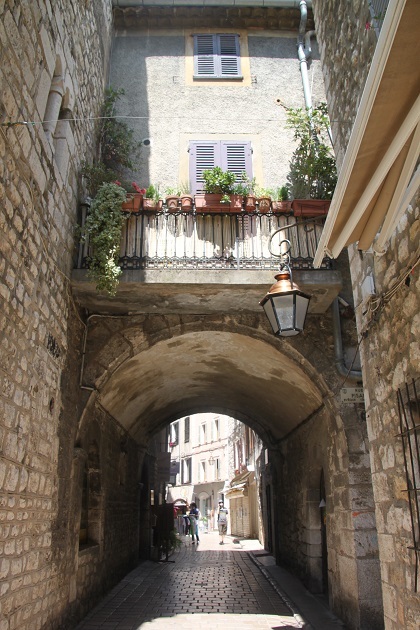 Later these could not be demolished to make way for streets and boulevards as happened in many medieval towns – the clever planners of Vence. We walked through one of those gateways and just wandered. Numerous small art galleries, a labyrinth of narrow streets all cobbled and close together it is strolling heaven. Son was particularly taken with the vast number of cats hanging out and laying claim to a sunny spot here and there. A thoroughly delightful place, empty of tourists and another gem we had all to ourselves, I was glad we’d detoured from St Paul de Vence to experience its lovely neighbour. 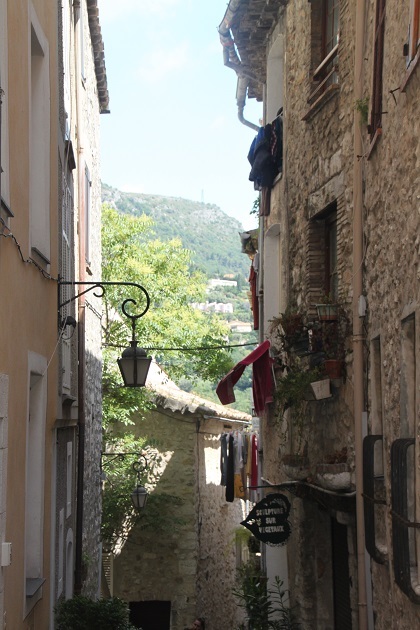 Joy, now this is a lovely Provencal village…so quaint and quiet! Perfect! Isn’t it wonderful Pam and empty streets which was bliss! It felt like time had stood still here. Such a peaceful spot with some interesting narrow winding lanes to explore! 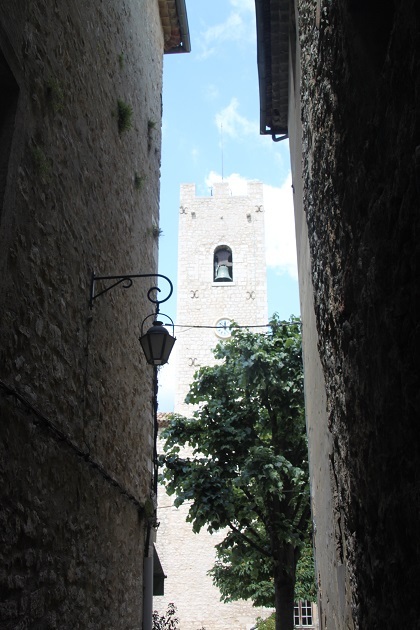 It was so quiet – especially compared with St Paul de Vence where we visited next. This was blissful though, wandering and exploring with the whole place to ourselves! It’s gorgeous and a lot quieter than St Paul – although that’s stunning too!! Not weird at all Suzanne!! If we had known about this market in advance I would have timed our visit to coincide with it! It’s gorgeous – and this one was empty, an extra treat! Thank you for coming along!! It is a gorgeous and dreamy place!! Beautiful. 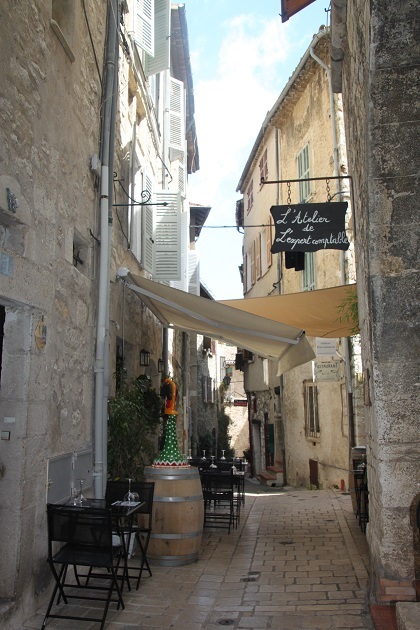 I reminds me of St Paul de Vence, in many ways. It’s not far away from there George and is very similar, a big difference though is the lack of crowds!! 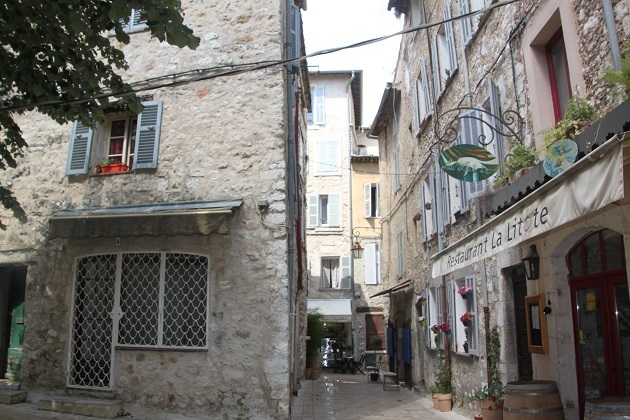 St Paul de Vence was so busy when we went there, this place was empty! How delightful, and no one around! Great history and images too! It was such an interesting place and so gorgeous too. The lack of crowds was just the icing on an already great cake! So charming..I can see why all the artists flocked here. And no crowds = happy touring;). Absolutely – we had the whole place virtually to ourselves, more than happy with that!! I love catching up with your travels! There are so many gems you’ve discovered this past year that I can’t wait to go back to Europe to check them out. Thank you Mel – this one is a real gem, I hope you get to experience it! It’s a beautiful spot Rosemary, everyone else seems to flock to St Paul de Vence, not sure why they don’t come here but we weren’t complaining!! It was nice to compare the two places and have this one all to ourselves. The cats have good taste! Hope your little granddaughter is well on the mend now, that must have been very frightening for all of you. 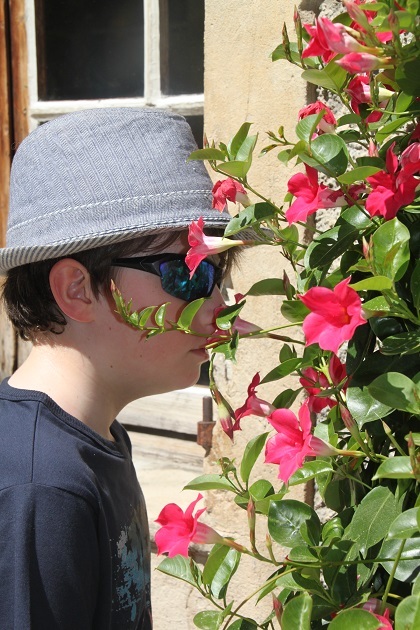 We’re definitely enjoying and making the most of the sunshine here – it’s been a wonderful week! Lovely and just how I always imagine this part of the Med! 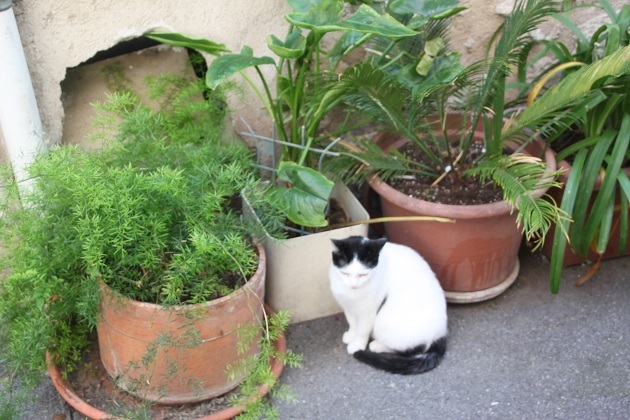 This place is a gem – everyone else flocks to St Paul de Vence, there was hardly anyone else here (apart from all those cats) – we weren’t complaining. What a charming town! Thanks for sharing! It’s full of character and atmosphere – a special little place. 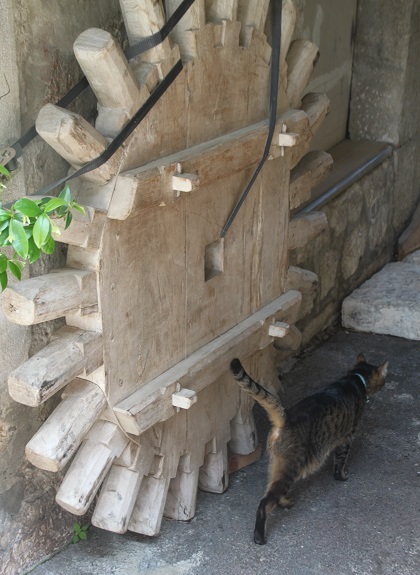 Cats everywhere here – my son took a stack of photos of them from all angles!! Some co-operated, most didn’t! !